One of the themes apparent in Johnson’s book is to rectify some of the more popular conceptions of Louis XVI, such as the popular depiction of Louis XVI as an intellectually shallow man. Even the comte de Saint-Priest, who of the king said that “never was a man less fit to reign,” admitted that Louis XVI might “have filled other roles” in life because he was “well-versed in literature, knew several languages, had some astronomical knowledge, and had an extensive knowledge of geography and marine affairs.” Louis was also heavily involved in scientific endeavors, such as the exploration of the comte de Lapérouse. Many aspects of the king’s character as it related to his family, his people and his desire to reform and improve the government of France are discussed in the book. 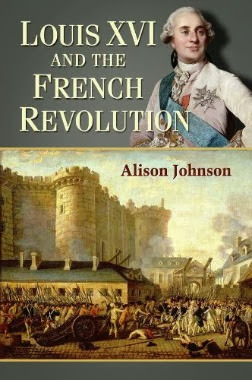 Johnson has included examples from many contemporary journals, memoirs and letters which reveal a more complex view of Louis XVI than is usually held in historical study–together, it reveals a man who was intellectually gifted, driven by justice, kind, humble, and who had a sincere personal care for his people–but who was, ultimately, the right kind of king at the wrong time. Despite the book’s title, I do feel as if the book is more of an analysis of the king’s public and private character rather than an analysis of his role in the revolution itself. I do think this aspect of the book is very worthwhile because it does reveal aspects of the king’s character that are often ignored or overlooked in other studies about him.